STATE CAPITOL, PHOENIX – House Democrats again are calling on Gov. Jan Brewer and the Republican majority, who have complete control of state government, to fix their admitted mistake on transplants before another Arizonan dies. Mark Price, 37, died Sunday due to chemotherapy complications. He was one of many Arizona transplant patients who were denied care by Republicans. Luckily, an anonymous donor came to Price’s rescue, but Price died before the procedure could take place. See KTAR’s story here. Like Price, Tovar suffered Leukemia. She was a bone marrow recipient. House Democrats are asking Brewer to use $30 million of unspent federal stimulus money to save the transplant patients. According to state economists, Brewer has $30 million in discretionary stimulus funds she can use at her will. She recently used $2 million on an algae program. According to state economists, Brewer said she has used the $30 million, but has not disclosed to them how she used the funds. She also has hidden that fact from the public, prompting House Democrats to file a FOIA request (click here to view) with her office to uncover how she spent Arizona’s money. Brewer’s office has not responded. WHAT WE’RE LOOKING AT: Gov. Jan Brewer has said the state can't afford to pay for certain transplant surgeries because of the constraints of the federal health-care-reform bill. Democrats say she's lying, and note Brewer could tap into federal stimulus dollars over which she has discretion to pay for the procedures. Alternatively, they argue she could call the Legislature into a special session to restore funding for the services. The rhetoric has been heated and impassioned: Incoming Senate Minority Leader David Schapira, D-Tempe, has called the governor a “one-person death panel” because she refuses to act. THE FORUM: Dueling news statements from legislative Democrats and Brewer. ANALYSIS: The Legislature in March approved a fiscal 2011 budget that cut funding for optional services provided by the Arizona Health Care Cost Containment System, the state's Medicaid alternative. That included coverage of certain transplant surgeries, including bone marrow, kidney, liver problems due to hepatitis C and others. Those cuts took effect Oct. 1. The budget also eliminated 310,000 people from AHCCCS coverage as part of deficit-reduction moves. Those people would lose coverage as of Jan. 1. Although the state is part of a lawsuit seeking to overturn the federal health-care-reform law, lawmakers and Brewer so far have concluded the state can't afford to ignore its requirements since $7 billion in Medicaid payments hangs in the balance. Therefore, they say they need to save money where they can - for example, by not covering optional services such as some transplants. However, the decision to cut off some transplant funding was made before the effects of the federal health-care bill were known. THE FINDING: Brewer is wrong to directly link the denial of transplant coverage to federal health-care reform; it was a decision lawmakers made before the federal bill became law. But she is correct in noting that the federal law puts pressure on the state budget, which is facing chronic deficits. STATE CAPITOL, PHOENIX – Rep. Daniel Patterson, D-Tucson (District 29) invites constituents to a town hall next week in Tucson. When: Saturday, Dec. 4, 2 to 4 p.m.
At his eighth town hall, Patterson will discuss the upcoming session and hear from Tucsonans about their needs, ideas and concerns so he can take them with him to the capitol. STATE CAPITOL, PHOENIX – Thanks in part to Rep. Barbara McGuire's efforts to keep farming and rural economic development moving, the U.S. Environmental Protection Agency has decided to not hinder Hayden's jobs and businesses. The EPA has decided to allow ASARCO Mine to continue to operate in Hayden because the EPA has determined that the city has not failed to meet air quality standards. McGuire, D-Kearny (District 23), took the lead on the issue. She fought to allow mines and the communities and schools they economically support from Tucson to Apache Junction to Coolidge to stay in business. McGuire supported farming and rural economic development by opposing the EPA's planned strict regulation this year. She also gained support for her bill that removes an unnecessary roadblock for operating mines also was signed into law. HB 2133 ensures that mines throughout the state are not penalized by the EPA for weather abnormalities that lead to inaccurate readings of air pollution by the mine. The EPA's new policy almost doubles the stringency of the standard by which dust is regulated. Many farming activities kick up dust, and the economic impact this regulation would have on farmers and rural communities in Arizona could be devastating, hindering farmers' ability to maintain production and bringing economic growth to a standstill, McGuire said. "I am relieved and proud that Hayden will be able to continue to grow and operate during such tough economic times," McGuire said. "We need rural towns, their businesses, families and values because they are the backbone of our state's economy." STATE CAPITOL, PHOENIX – Gov. Jan Brewer is lying to the public about her cuts to funding for life-saving transplants, and House Democrats are holding her accountable. Brewer lie #1: Federal health care law makes it too hard to fund transplants. The federal health care law has nothing to do with transplants in Arizona. Brewer signed into law the cuts to life-saving transplants BEFORE the federal law passed. The federal health care law in 2010 gave Brewer a choice by saying that if Arizona wants to keep federal matching money, it needs to maintain current spending on AHCCCS. However, transplants are not included in this requirement, which shows again that federal law has nothing to do with funding transplants in Arizona. Every other state in the country funds transplants and they are bound to the same federal law. Brewer lie #2: Brewer says the 2009 federal stimulus act came with rules saying she can’t make any cuts to AHCCCS that would allow her to free up money to spend on transplants. She claims that all the budget money went to AHCCCS, leaving no room to fund transplants, which weren’t included in the federal requirement. Brewer cut $60.6 million from AHCCCS after the stimulus bill passed, because the stimulus bill allowed all states to cut money from AHCCCS. · Brewer cuts funding for transplants. · The state legislature cuts the statutory requirement that AHCCCS provide transplants. · Assistant House Democratic Leader Kyrsten Sinema’s amendment successfully restores the statutory requirement but an amendment to restore the funding for transplants is not approved. · Therefore, state law requires AHCCCS to provide transplants, but it also doesn’t allow specific funding for those transplants. · Federal stimulus bill passes, which requires the state fund AHCCCS to a certain point and still allows major cuts to AHCCCS. · Since the passage, Brewer has made more than $60.6 million in cuts to AHCCCS. · AHCCCS continued covering transplants through October 2010 using general AHCCCS funds not appropriated to transplants. · Brewer eliminates the statutory requirement that AHCCCS cover transplants. · Democratic amendments to restore it are unsuccessful. · Federal health care law passes, saying the state must maintain AHCCCS funding to receive matching funds, but transplants are not part of that requirement. · Brewer spends $2 million on discretionary stimulus money on algae research. · Bone marrow transplant patient Mark Price loses AHCCCS coverage for his transplant surgery, is saved by a benefactor/donor. · Brewer still has $30 million of discretionary stimulus dollars in her coffers, according to state economists. 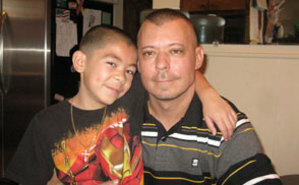 · A family friend of liver transplant patient Francisco Felix dies and donates her liver to him. · Felix, who is on AHCCCS no longer has transplant coverage and is left with a few hours to come up with $200,000 to pay for the transplant. · Felix loses his opportunity and the family friend’s liver goes to someone else. · State economists say Brewer has said she used $30 million of discretionary stimulus dollars, but has not told the public what she used them for. · House Democrats file a public records request to find out what she spent Arizona’s tax dollars on. · State economists say transplants will cost only $1.2 million next year. STATE CAPITOL, PHOENIX – House Democratic Leader Pro Tem Jack Brown, D-St. Johns (District 5), has been honored for his public service by the Arizona County Supervisors Association. Brown, who is retiring on Jan. 9, has fought tirelessly to protect the interests of his constituents and those in other rural communities, the association’s members said. 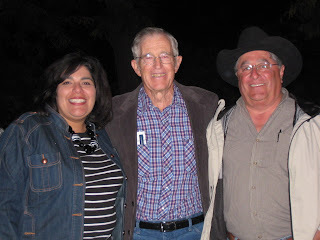 Left to right: Former CSA President Liz Archuleta, House Democratic Leader Pro Tem Jack Brown, and Greenlee County Supervisor Hector Ruedas celebrate Brown’s service. Photo from County Supervisors Association of Arizona.Brown received artwork depicting him on horseback in Apache County. Brown also recently was honored with the Lifetime Achievement Award by the Arizona Capitol Times and the Arizona Farm Bureau's Distinguished Service to Arizona Agriculture award. Brown will continue to serve his constituents through Jan. 9. He is available at 602-926-4129. Photo left to right: Former CSA President Liz Archuleta, House Democratic Leader Pro Tem Jack Brown, and Greenlee County Supervisor Hector Ruedas celebrate Brown’s service. Photo from County Supervisors Association of Arizona. STATE CAPITOL, PHOENIX – House Democrats elected new leadership today that will hold Republicans accountable for their actions and fight for jobs, schools and small businesses to get Arizona’s economy moving again. House Democratic Whip Chad Campbell will serve as House Democratic Leader, House Democratic Policy Leader Steve Farley will be Assistant House Democratic Leader and Rep. Matt Heinz, D-Tucson (District 29) will be House Democratic Whip. Campbell, a Phoenix native, graduate of Northern Arizona University and life-long Arizona resident, has served in the House since 2007 in District 14, which covers parts of central and West Phoenix. Heinz, who has served in the House since 2009 in District 29 which covers Tucson, is a hospital physician at Tucson Medical Center. STATE CAPITOL, PHOENIX – Rep. Lynne Pancrazi, D-Yuma (District 24) has been named Legislator of the Year by an educational organization. Arizona Association for Health, Physical Education, Recreation and Dance selected Pancrazi for her commitment to keeping children healthy and active and her support of an education bill that requires school boards to consider providing at least 30 total minutes of recess each day grades K-5. The organization’s mission is to promote healthful lifestyles through quality education for populations and provide leadership to school, community and statewide programs in the areas of health, physical education, recreation, dance and other movement-related programs. For more information about the organization, go to www.azahperd.org. Attached photo: Kathy Dean, current president of the Arizona Association for Health, Physical Education, Recreation and Dance, presents the Legislator of the Year Award to Rep. Lynne Pancrazi, D-Yuma (District 24).